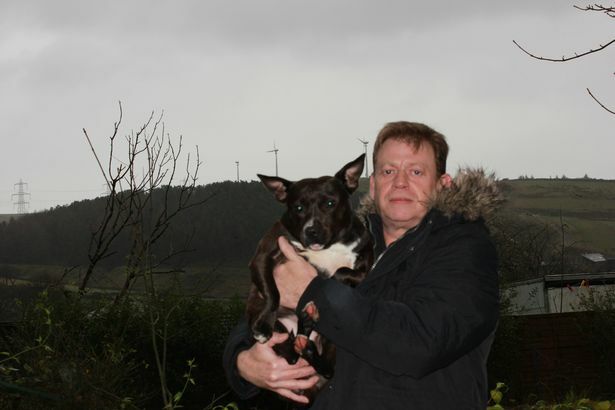 A dog walker watched in horror as Storm Barbara blew the blades from a wind turbine – and they headed towards him. Grandfather Ray Gansler was walking on the hills near Bacup, Rossendale, with his Staffordshire Bull Terrier Lucy at around 2.30pm on Friday. High winds and heavy rain caused disruption to roads and buildings around the region on Friday afternoon. 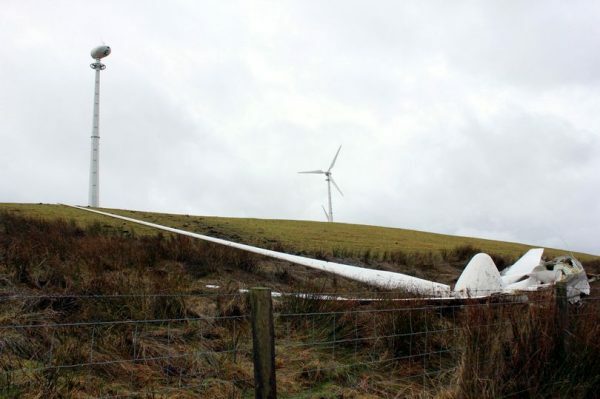 Ray, 50, said: “I heard a noise that sounded like the squeak of a van and then I saw the blades of the turbine had come off and were coming towards me very quickly. One of the four 34.2m high wind turbines on land at Scar End Farm is now missing its three blades and central hub; they landed in a nearby field full of saplings. He raised the alarm with the owner of the land where the turbines are based and also contacted the police. Mr Gansler said: “The turbine nearest the farm had switched off, but the other two were still spinning around at a rapid speed. “I was worried that if another one broke off and landed on the other side of the hill there are houses nearby. TGC Renewables applied for the wind farm at Scar End in 2012 and was initially rejected permission by Rossendale Borough Council following public objection. That decision was overturned later that year on appeal by the planning inspector.